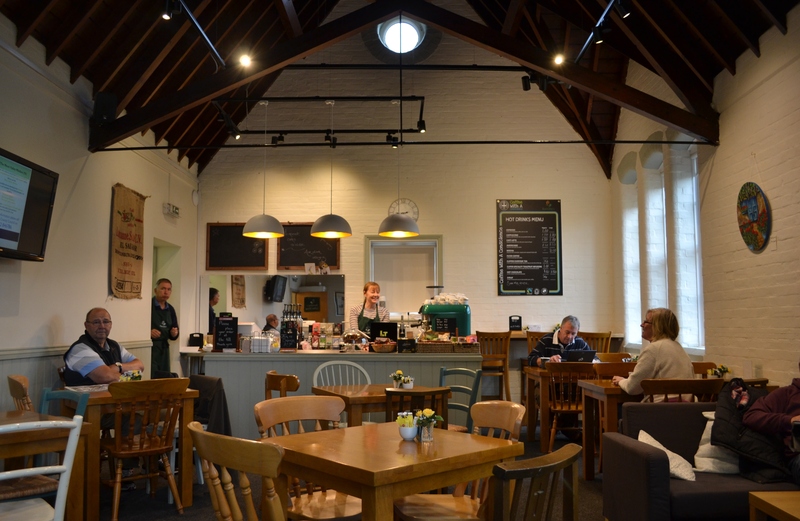 I’d been invited to Barnaby’s Coffee Shop which is sandwiched between The Paterson Centre and St.Barnabus Church in rural Swanmore. 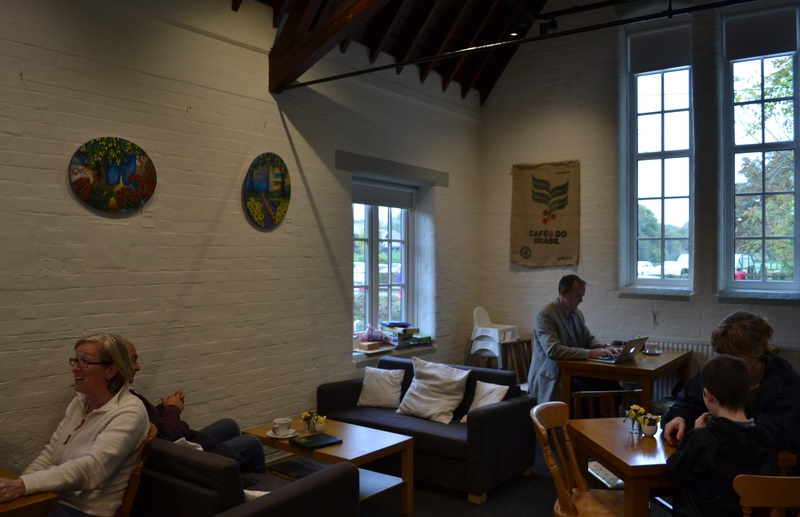 It was once The Old School Room and wasn’t being used, except for storing unwanted items, so just over a year ago the community made it into a much needed coffee shop (the nearest being about 3 miles away in Bishops Waltham). It is run completely by volunteers. The cakes are home-made (always the best) and again, made by volunteers. There’s plenty of people in the village willing to bake and donate a cake. If someone is baking cakes and doesn’t want to scoff the lot then they can donate the rest. This means there isn’t always the same cakes on offer each day, always something different, a surprise, and we all like surprises don’t we. 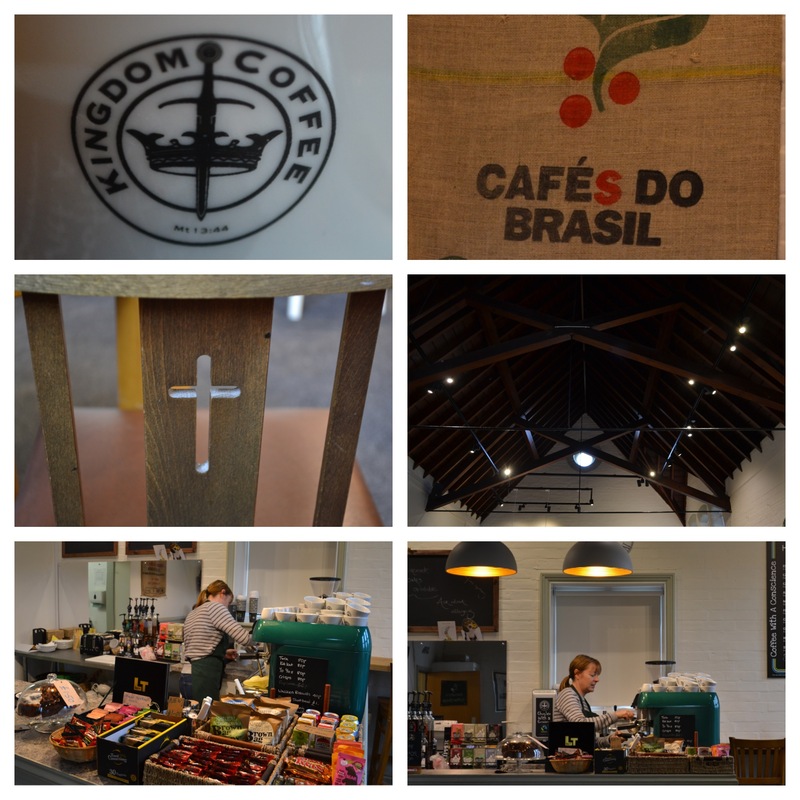 The baristas are trained by the coffee suppliers, Kingdom Coffee in Reading who also supply the lovely large coffee machine which takes pride of place upon the counter. 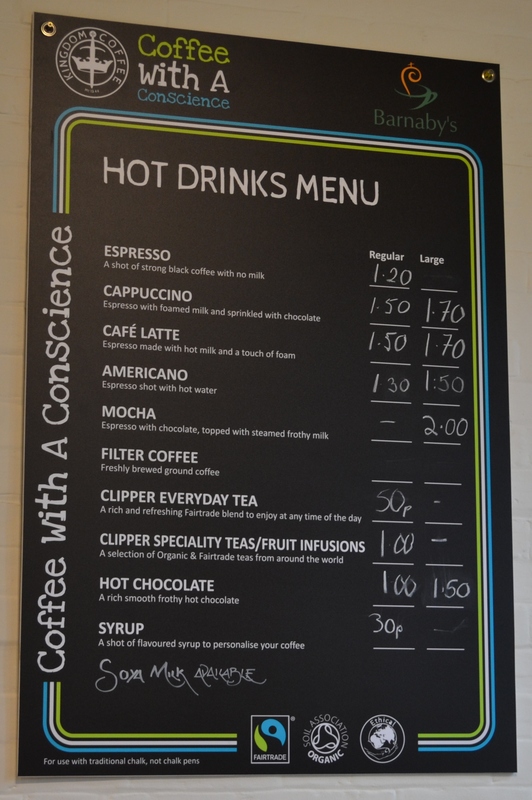 The coffee is Fairtrade and sold at a very good price of only £1.50 for a regular cappuccino. 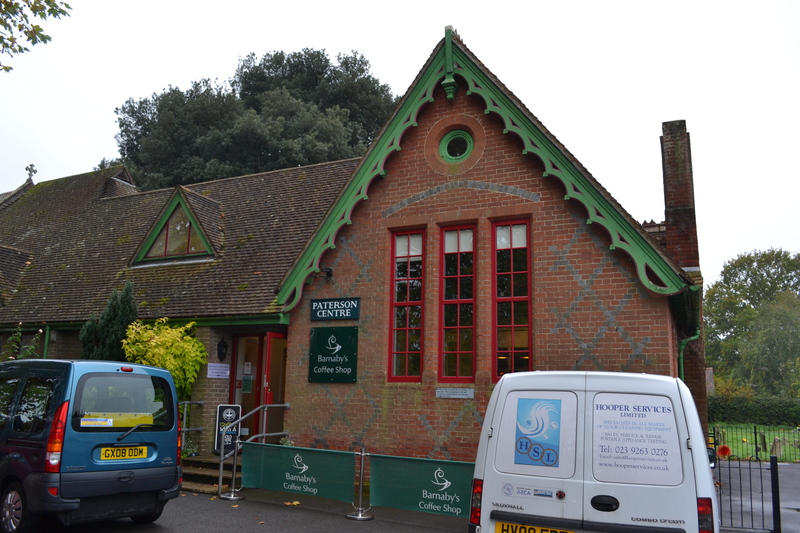 Tea, hot chocolate and soft drinks are also on offer. There’s also free wi-fi! The day I visited a lovely looking chocolate cake was on the counter and I must say that it was very nice indeed, being very fresh, light and moist. Chocolate cake can sometimes be rather dry and I don’t tend to order it, but this was definitely an exception. Upon one wall is a television but this is mute and shows only picture of cakes, past events and up-coming ones on a slideshow. The events are things like a children’s colouring contest (which was held yesterday) being half term. Coming up is the Toilet Twinning which I think is a great idea. For £60 you can twin your toilet with another in a country where there is desperate poverty for instance, Uganda. This then gets built and the owners are taught the importance of washing their hands etc., You receive a certificate, photo of the toilet and GPS co-ordinates of it to display in your loo. On the counter is a box to put loose change into and this goes towards the St. George Foundation charity which helps orphans in Sierra Leone. Barnaby’s also donate 50% of their takings on specific Saturday mornings to a limited number of charities each year, so they certainly do a lot to help others. 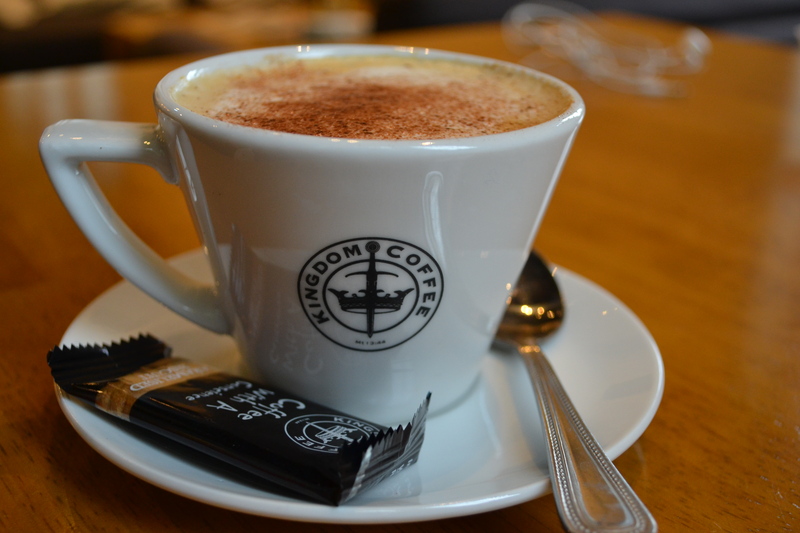 Barnaby’s has a really lovely community feel about it, how lovely to be a part of it, knowing everyone and have a natter over coffee and cake, so different to living in a city.